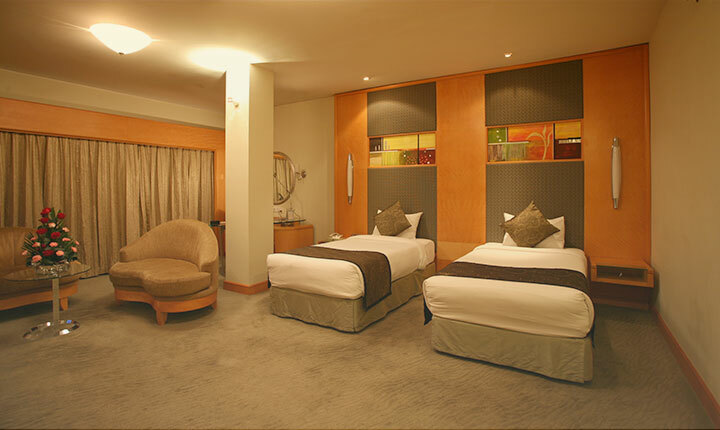 The Executive Twin Deluxe is equipped with two single beds and has a balcony. The size of this room is 446 square feet (41.435 square meters). It has a nice working desk, central control system, Wi-Fi, and LAN connection. 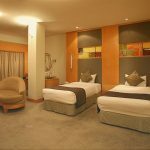 The Executive Twin Deluxe room can also be connected with a Studio Apartment Suite.